Today’s post is about Stockomendation, a tips aggregator that I came across last week. Stockomendation (henceforth SM) is a subscription service, with premium packages at £100 and £150 per year, but there is also a free service, which is the one that we’ll be discussing today. 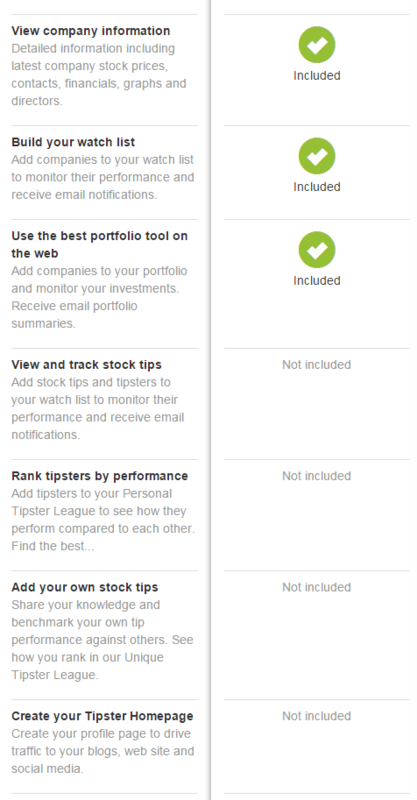 The premium services are based around tracking and ranking tipsters, and there is also a social element in that individual subscribers can submit their own stock tips. The free service sells itself on portfolio tools, a watch list and company information, but all of this is available elsewhere. We’re here for the tips. The first thing that you can do with Stockomendation is compare tipsters’ track records. The site uses the “Hit rate” to do this, a simple measure of what proportion of tipped stocks have moved in the right direction since they were tipped. 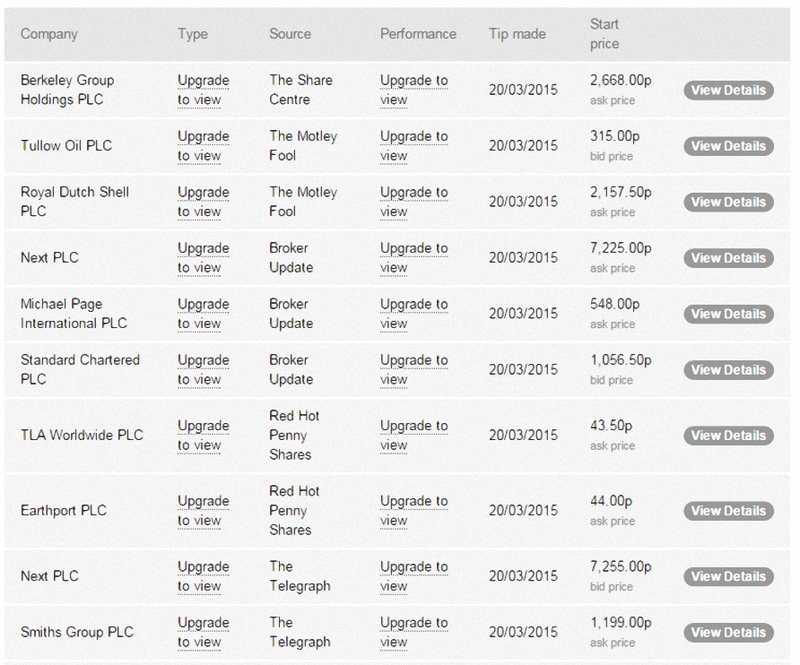 That’s quite a spread of results, from 68% for the Share Centre down to 30% for Red Hot Penny Shares. We’ll come back to The Share Centre’s tips later. Since the Share Centre won the battle of the tipsters, I thought it would be worth looking in more detail at their recent tips. 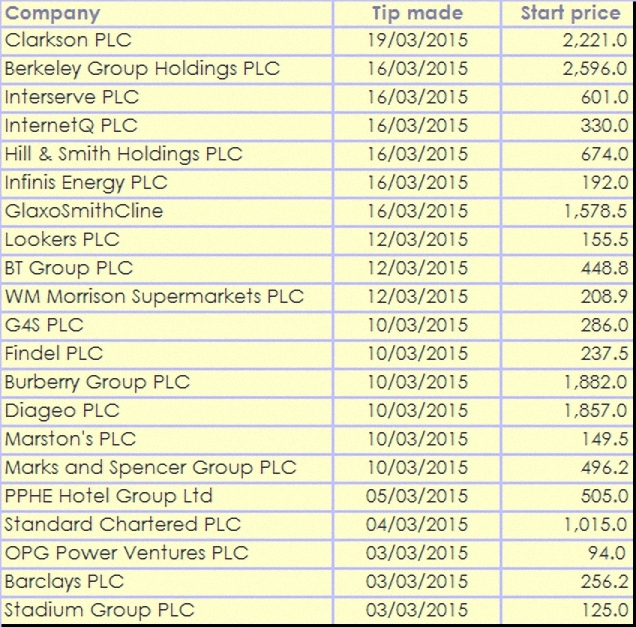 Share Centre have already made 21 tips in March, but we’ll just look at the most recent ten. 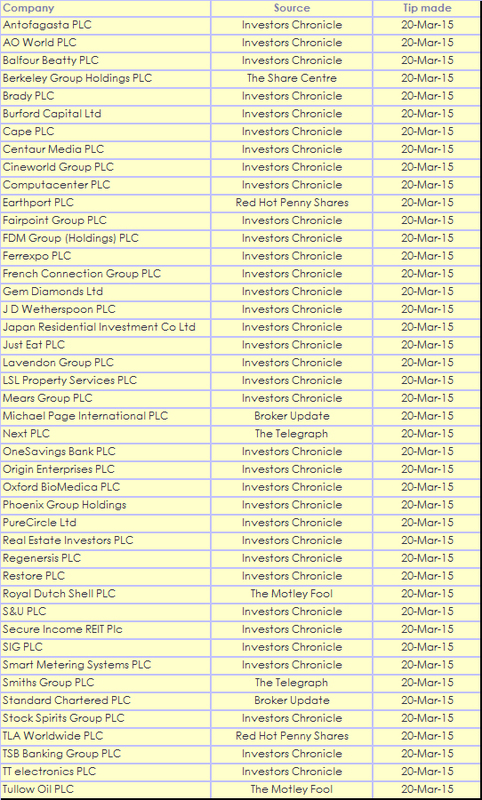 Running the list through the 7C scoring system we use for the portfolios, we have the usual mixed bag. 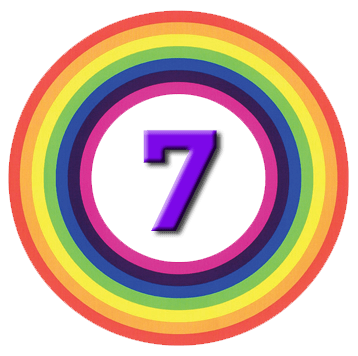 Three of the ten stocks score 20 or more (which is the level that we’ve been adding stocks to the portfolios). Another two score 19, which might earn them a place on the watch list. Whether you will find Stockomendation of use depends on your approach to tips. I like to have a regular feed of ideas to research2 and it’s handy to have a lot of them in one place, but many will not be interested. I’m less sure about combining this service with portfolio tools and league tables though. I’d rather see the work go into making the tips interface slicker. And I wonder how many people will pay for consolidated tips. I suppose some must or the tip sheets would be out of business. I think that all this information should come free with the trading platforms. 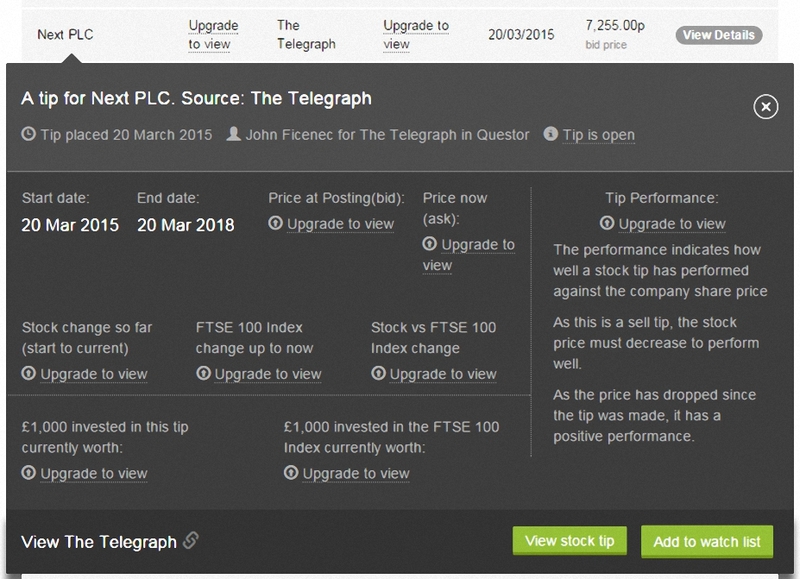 Hargreaves Lansdown do supply the Investors Chronicle tips, plus those from newspapers and brokers, but tips from the subscriptions sheets are missing.